This entry was posted in Broadcasters, International Broadcasting, News, Shortwave Radio and tagged BBG, Broadcasting Board of Governors, John Lansing, Radio, Radio Free Asia, Radio Free Europe, Radio Liberty, RFE, U.S. Agency for Global Media, USAGM, VOA, Voice of America on August 27, 2018 by Thomas. It will replace a 52-year-old transmitter in Sitkunai, close to Kaunas, that has been transmitting programs for listeners in Russia, Belarus, Ukraine and Moldova at a lower quality. The medium wave (AM) transmitter was manufactured some five years ago and was used by the US Defense Department in Western Germany to broadcast a radio program for American troops stationed abroad. Kim noted that the US Embassy in Vilnius also reported on the RFE tower dedication. Click here to read the post. This entry was posted in AM, Broadcasters, International Broadcasting, Mediumwave, News and tagged International Broadcasting, Lithuania, Mediumwave, Radio Free Europe, Radio Liberty, RFE on September 1, 2017 by Thomas. The end of the Second World War signaled the beginning of an information war in Europe. As the military alliance between the Soviet Union and its main western allies — the United States and Britain — came to an end, the USSR backed small communist parties that asserted ever-tighter control over much of Eastern Europe. Speaking in Fulton, Missouri in March 1946, former British Prime Minister Winston Churchill warned of an “Iron Curtain” of totalitarian control sealing off half the continent. His speech heralded the beginning of an ideological “cold war” that would last for more than 40 years, a struggle in which citizens of the eastern camp were only meant to hear one side of the argument. Monitoring of Soviet bloc radios was an important input to Radio Free and Radio Liberty broadcasts during the Cold War. RFE and RL also monitored the official print media and interviewed refugees and travelers. 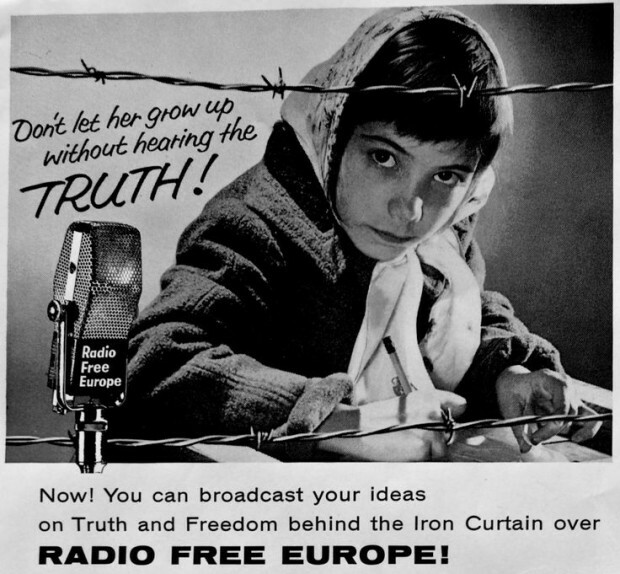 Soviet bloc officials in turn monitored RFE, RL, and other Western broadcasts (while jamming their transmissions) to inform themselves and to counter what they viewed as “ideological subversion.” On both sides, monitoring informed media policy. research but in retrospect provided reasonably accurate indicators of the audience for RFE, RL, and other Western broadcasters. Click here to download the full Wilson Center article as a PDF. If you’re interested in Cold War broadcasting, I would also encourage you to check out Richard Cummings’ blog, Cold War Radio Vignettes. This entry was posted in Broadcasters, Clandestine, News, Nostalgia, Radio History, Shortwave Radio and tagged A. Ross Johnson, Cold War, Radio Free Europe, Radio Liberty, RFE, shortwave on June 27, 2017 by Thomas. “FOR YEARS, members of Congress have fumed about what they regard as ineffective U.S. public diplomacy, including the failure of broadcasting operations such as the Voice of America and Radio Free Europe/Radio Liberty to match the reach and apparent influence of networks such as Russia’s RT and Qatar’s al Jazeera. A frequent and arguably fair focus of criticism has been the Broadcasting Board of Governors, the body created to supervise government-funded media outlets while serving as a firewall between them and the political administration of the day. A radical change to that system is now coming — and it looks like one that Vladi­mir Putin and Qatar’s emir might well admire. 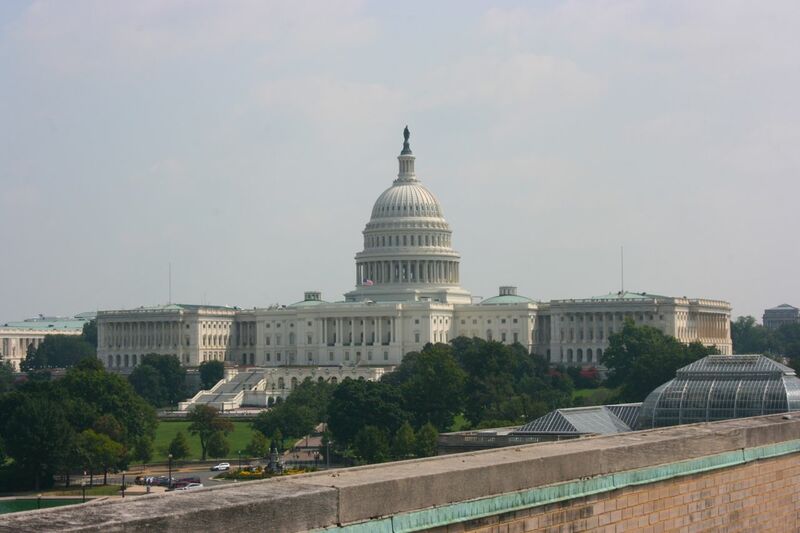 An amendment quietly inserted into the annual National Defense Authorization Act by Republican House leaders would abolish the broadcasting board and place VOA, RFE/RL and other international news and information operations under the direct control of a chief executive appointed by the president. The new executive would hire and fire senior media personnel and manage their budgets. […]The point of board governance was to prevent direct political interference in programming by the White House, State Department or other agencies. It was a guarantee that for decades has helped to attract journalistic talent to the broadcasting organizations, as well as listeners seeking reliable information. The board of governors had serious problems: Its members served part time, and not all took their duties seriously. But the system’s biggest flaw was remedied three years ago with the creation of a chief executive position. Click here to read the full editorial at The Washington Post online. Also, Richard points out this article in BBG Watch which highlights comments from Dan Robinson. This entry was posted in Articles, Broadcasters, International Broadcasting, News, Shortwave Radio, Uncategorized and tagged Broadcasting Board of Governors, Radio Free Asia, Radio Free Europe, Radio Liberty, RFE, VOA, Washington Post on December 11, 2016 by Thomas.